It’s true. 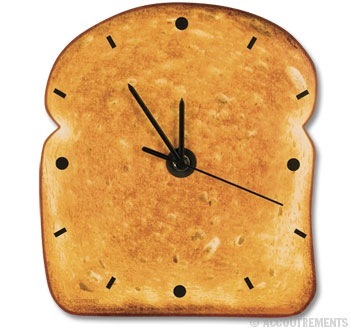 There’s something about turning things that aren’t toast into toast that seems to appeal to designers right now. A thumb-sucking trend-spotter (GUILTY!) might say this is because toast is warm and comfortable which makes it especially appealing in these unsettled times. However what I really say is pass the marmalade. 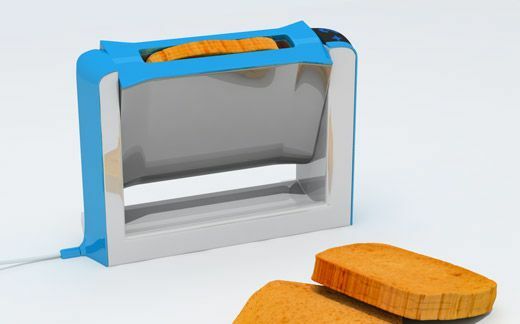 First: The refillable toast-shaped Post-It note dispenser (Toast-It Note? 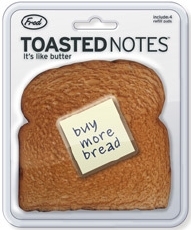 ), in which the notes play the roll of the butter. 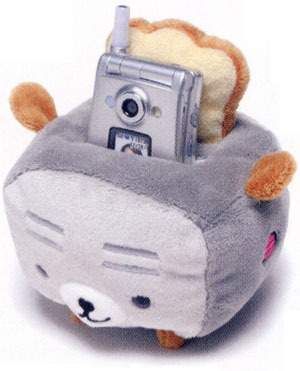 Second: The toast-shaped inflatable pillow. Or mini-pillow? It’s 6 inches across, so I have no idea what earthly use it might have. 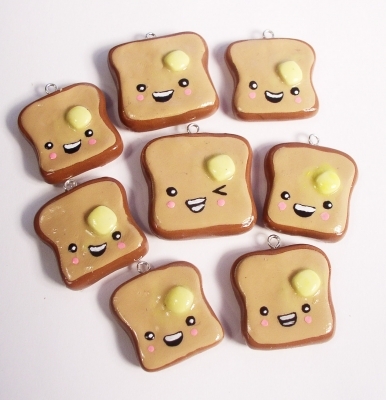 Third: Toast — the board game. 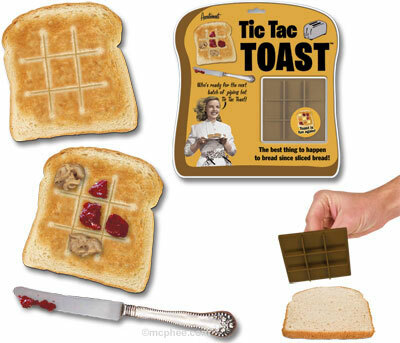 Turns any slice into yet another pointless game of tic-tac-toe! 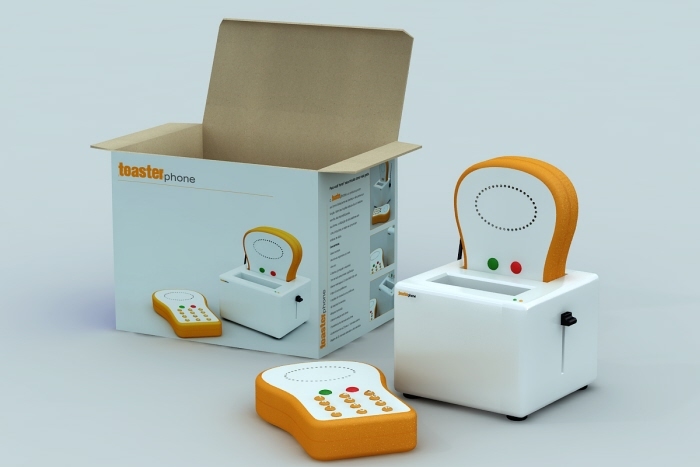 Fourth: The toast phone — sadly still only a prototype. 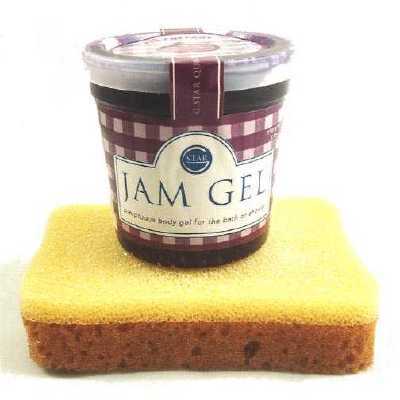 Eighth: Toast sponge with soap that looks like jam. 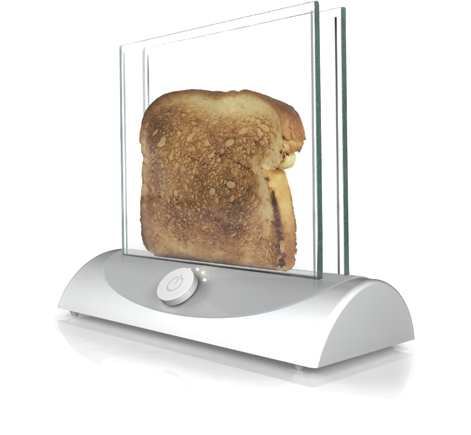 All this focus on toast has also meant ongoing design refinement of the actual thing that produces the heated bread product. 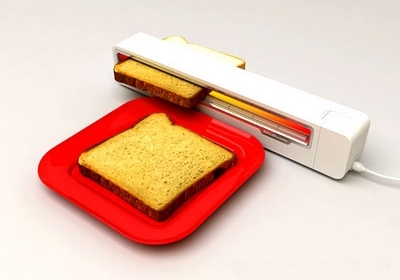 A toaster designed to protect your eyes. 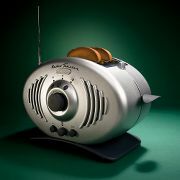 The toaster & radio combo. 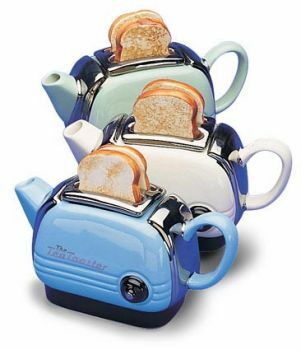 And two great toasters that so far are only concepts. 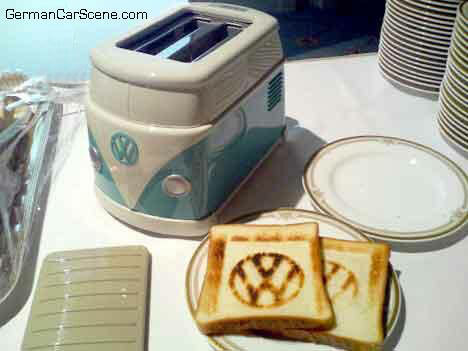 This entry was posted in Marketing, Prduct design, toast, toasters and tagged design, Marketing, Product, toast, Toaster. Bookmark the permalink. People ask me from coast to coast. what’s the thing that I like most? idk who you are, nor have I read this blog before (this post was forwarded to me but I admit I’ve seen it around) but you are a genius of sorts and I applaud you for your thorough research on the toastier side of life. 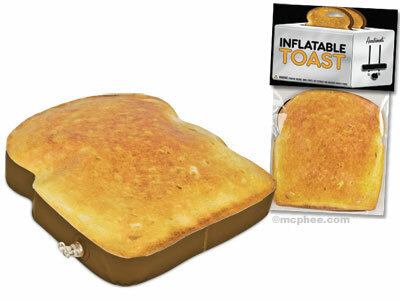 I also saw that toast mattress and thought something was fishy about the huge mouthpiece on the side. Neway just thought I send some props ur way and welcome myself as your newest reader. 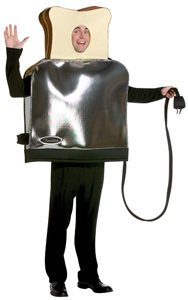 Blog on, my toasty friend. So, i have a cat…i named her toast after the enormous list of names we came up with. It’s quite fitting. 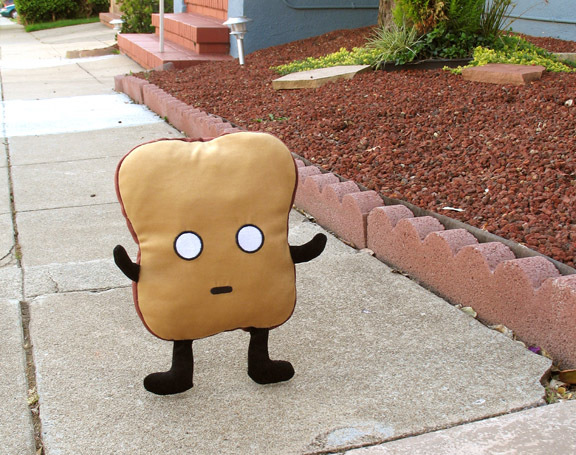 However, I am now in the market for a tag, in the shape of toast, to engrave her name and my contact info. on. Any advice or help in finding one? 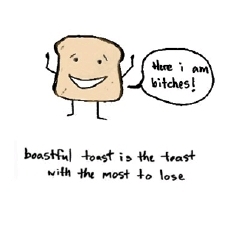 If not, I’ll most likely be making it out of stale bread and hoping the birds don’t catch up to her..
On another note, Toasty-notes, very clever.